Assisting in the rebuilding effort to the tune of around £400. Reports from Japan claim that Sony will invest heavily in rival camera manufacturer Olympus. The reputable Nikkei news source claims that Sony will snap up a ten per cent share in the company for £397m ($620m). This would make Sony the single largest shareholder at Olympus, which is still reeling from last year's accounting scandal, when it failed to declare investment losses and overstated profits. 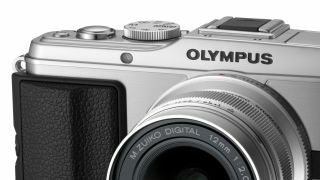 The report suggests that Olympus could take advantage of Sony's market share in the imaging sector to lower its production costs and end two years of losses. The agreement is also likely to see Sony take a hand in Olympus' profitable manufacturing of medical supplies. The company currently owns around 70 per cent of the endoscope market, with Sony's sensor-developing expertise expected to cement that share. An agreement is expected within next month, according to Nikkei.